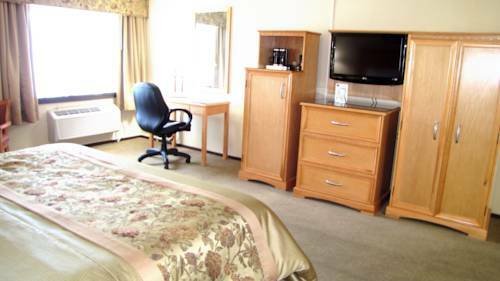 If you are looking for an economy hotel in Quakertown, you will always get affordable rates and the travel basics at the Econo Lodge. Amenities include free WiFi, free Easy Starts continental breakfast, guest laundry service and meeting space. Guest rooms feature a microwave, refrigerator and coffee maker. We make it easy to visit popular Bucks County attractions, including Lake Nockamixon State Park, Dorney Park, Wildwater Kingdom, Quakertown Farmers Market and Quakertown Memorial Park. You can also earn rewards like free nights and gift cards when you join our Choice Privileges program. No Pets Allowed. Show cave's food-like formations include bacon, eggs, and "upside down ice cream cones." Opened as an attraction in 1872. Get married in a cave. Jonathan Borofsky's "Humanity in Motion" is a 2008 permanent installation of poles and 12 figures. On the building floor a sculpted dad and son look up at the aerial feat. Borofsky also created other roadside faves: the Ballerina Clown, Venice CA; and Pittsburgh's 10-story pole o' people. Shoppertainment is celebrated at the studio home of cable shopping channel QVC.